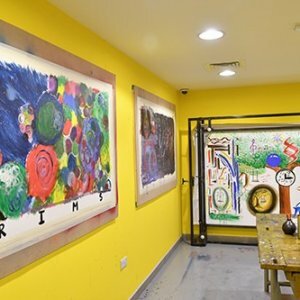 Indoor Golf Game 9 Holes is not different from every other indoor golf game that you know! But rather, Hungarian Indoor Golf Game 9 Holes has been tweaked to be more fun,exciting and thrilling especially when enjoyed with friends, colleagues or teammates. Providing golf enthusiasts with a unique experience that emphasizes innovation coupled with honesty and integrity. 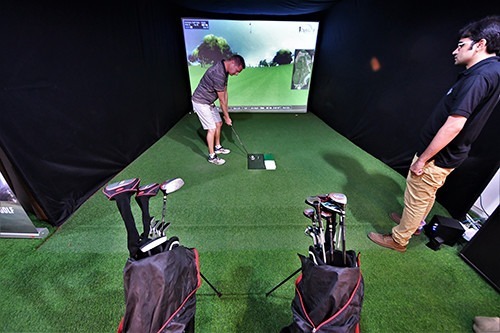 Optigolf offers you the ultimate indoor golf experience, far more than simply playing golf. 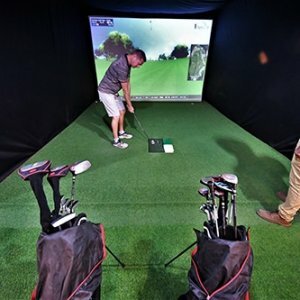 Designed to provide an incredibly realistic indoor golf environment for both playing and practicing. State of the art technology with high speed cameras makes the system extremely accurate. Golf is an exciting game that is though simple and complex; simple to learn but difficult to perfect; and bids to both the youthful and old. Be that as it may, it is as yet an element of amusement and fun. Golfers appreciate many parts of golf play, however the component that dependably holds them returning is the entertainment value they derive. Luckily, this aspect can be conveyed successfully with a quality indoor golf room. Room size: Indoor Golf Game 9 Holes is huge and spacious. Fee Per Person: AED 150 per player (big space).